Less than a month after a deadly attack on mosques in New Zealand that killed at least 50 worshippers, UN chief Antonio Guterres warned against growing hatred of Muslims. 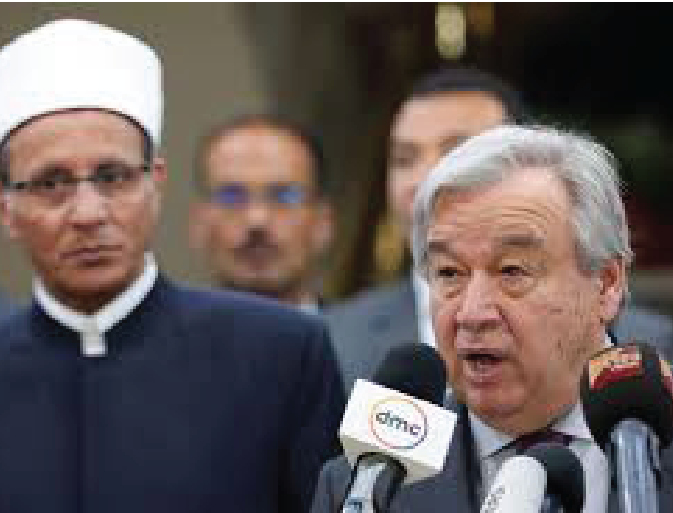 During a speech at Egypt's al-Azhar, Antonio met Grand Imam of Al Azhar Ahmed al-Tayeb and said, "Around the world, we are seeing ever-rising anti-Muslim hatred, anti-Semitism, racism and xenophobia." In his speech the UN secretary general warned of a surge in hate speech which he said was "entering the mainstream, spreading like wildfire through social media". The self-avowed white supremacist accused gunman from Australia livestreamed much of the attack and spread a manifesto on social media claiming it was a strike against Muslim "invaders". He was partly motivated by a desire to stoke a violent response from Muslims and a religious war between Islam and the West and described President Trump as "a symbol of renewed white identity". The aftermath of the attack raises more concerns as far-right extremists felt more emboldened by the massacre. In UK there was a 593 percent jump in the number of Islamophobic attacks just a week after the attack. The UN chief was right in his remarks about the rise of hate speech. Right wing extremist politicians are constantly in denial of the rise of hate speech including the rise of Islamophobia across the globe and in many cases are fuelling hatred against Muslims and immigrants. Among them are the Australian senator who had a raw egg cracked over his head for his remarks that sparked outrage after the Mosque Attacks. Sen. Fraser Anning had tweeted on March 15 that said, "Does anyone still dispute the link between Muslim immigration and violence?" Bilal Rauf, spokesman for the Australian National Imams Council said "When one looks at his statement, it may as well have been an extract from the manifesto of the person that perpetrated these heinous crimes, this act of terrorism in Christchurch." Australian Prime Minister Scott Morrison said he denounced Anning's comments. "In his conflation of this horrendous terrorist attack with issues of immigration, in his attack on Islamic faith specifically -- these comments are appalling and they're ugly and they have no place in Australia, in the Australian Parliament," Morrison said. "He should be, frankly, ashamed of himself." On Wednesday April 2nd Australian Lawmakers nearly voted unanimously to censure him in the Senate chamber— no one voted in opposition, but members of Anning’s former party One Nation abstained from the vote, with Sen. Peter Georgiou comparing the proceedings to a “public flogging,” reported The Guardian. Canada is not immune from these hate mongering divisive politicians. After the last most disastrous divisive campaign in Canadian Politics during the 2015 federal election and the defeat of three term PM Stephen Harper, one would imagine anti Muslim or Anti Immigrant remarks would be extinct. Apparently not. His successor Canada's Conservative leader, Andrew Scheer describes white nationalists xenophobic and racist temperaments as "ideas." In 2017 Scheer apposed the Liberal Motion to condemn Islamophobia and all religious discrimination in the aftermath of the Quebec city terrorist who murdered six Muslim men praying in a mosque. Scheer seems to be realizing that his anti immigrant image s hurting his party. On April 19 he met with the Muslim Community of Toronto and stated on his Facebook Post, "I visited with Imams and others from Toronto’s Muslim community to reaffirm my commitment to protecting religious freedom and my condemnation of anti-Muslim hatred and bigotry." Just recently a Councillor in Anjou Borough Quebec drew criticism over her twit describing her interaction with a Muslim medical professional. In her post, she stated that if it were not for an emergency, she would have refused treatment from the ophthalmologist in hijab who treated her. In further posts, Councillor Shand shared Islamophobic rhetoric, including that Muslims want to “Islamicize” Quebec, and convert the planet to Islam through “massive immigration” and “multiple births”. She did apologize for her comments and Mayor of Anjou, Luis Miranda removed her from his party. The mayor’s removal of her gives hope to many Canadians that there are good politicians around and who will not tolerate this anti immigrant sentiments. Meanwhile in British Columbia, The Premier of British Columbia Hon. 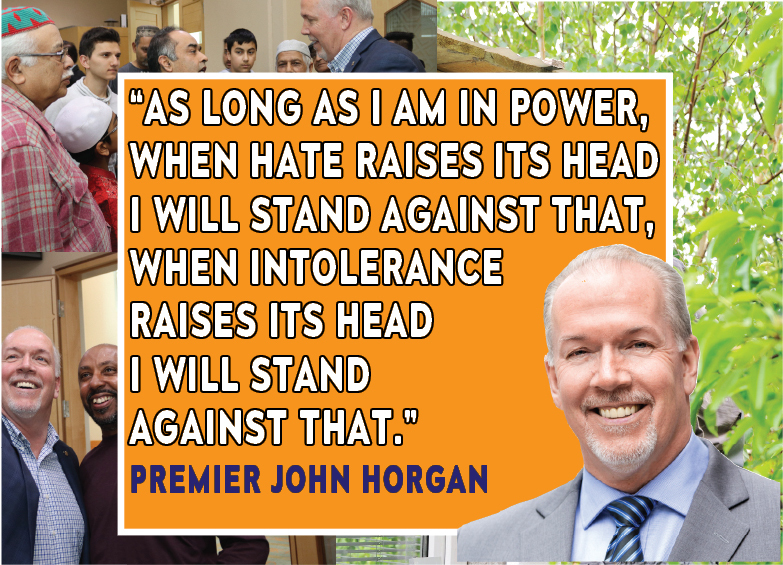 John Horgan prayed with the mussallis –congregation at the Jumuah Salat (Friday prayer) at Masjid Al Salam in Burnaby on March 22nd. 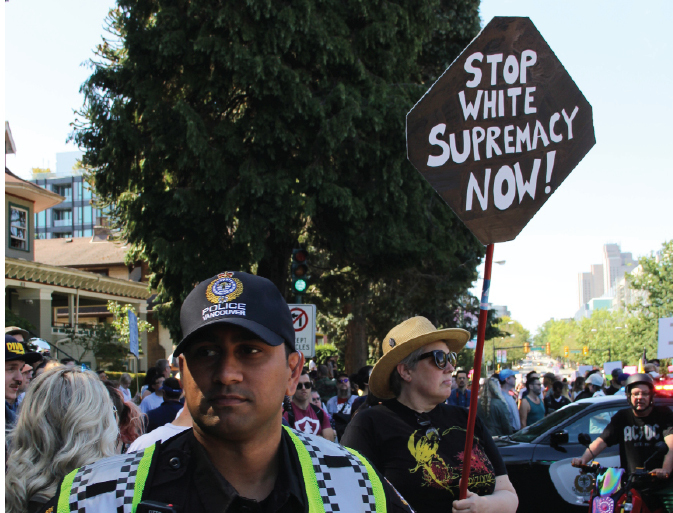 His parties MLA Janet Routledge introduced a motion to stand up to white supremacy in BC Legislature. On April 1 Burnaby North MLA Janet Routledge rose in the B.C. Legislature to introduce a motion that the House stand united in its opposition to white supremacy. Time has come now for politicians to stand up against politicians that are dividing communities apart and threatening our democracy and Canada's value of Love, respect and tolerance of each other not just with words but with action.